Meeting notices and commission roster. Deals with Cross Connection Control. Governs Utah’s Backflow Technician Program. Note that Utah has adopted the International Plumbing Code (IPC). The IPC contains language on cross connection control. The IPC is not available online. See International Code Council (ICC) for information on how to obtain the IPC. In adopting the code, State Amendments to the IPC were specified and available online at the Department of Professional Licensing (DOPL). Use the search feature to locate by name or license number. Alternatively, you can select the column header to sort by category. The Division of Drinking Water does not endorse any specific individual or company. It is recommended that you contact and receive quotes from several testers to ensure a fair price for the testing and additional work to be done. If you wish to contact these individuals to hire for testing, it is recommended that you have available the installed assembly type, size, make and full model number. 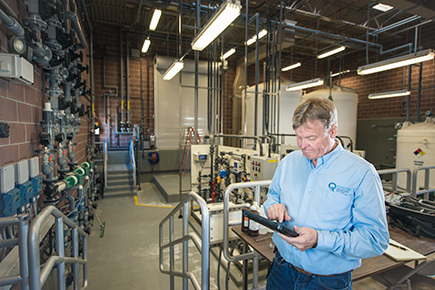 This is a resource for Backflow Technicians and Water Systems to use to check the information and expiration status of a Backflow Technician. Lists upcoming local training, including Cross Connection Control and Backflow Prevention Certification Courses. Apply for and pay certification fees online. An organization whose members have a common interest in protecting drinking water from contamination through cross-connections. A foundation for cross connection control and hydraulic research.